Many Aam Aadmi Party (AAP) supporters, who are also ardent anti-BJP people, have been puzzled, confused and even distraught over the B-grade Hindi film plot unfolding on the AAP front. The disclosure of sacked water minister Kapil Mishra that he had seen health minister Satyendra Jain offering a Rs 2-crore bribe to Chief Minister Arvind Kejriwal is both murky and ridiculous. And this is preceded by the twist of Kumar Vishwas, the poet-demagogue of the party being pacified by Kejriwal even as he sacked Vishwas-acolyte Mishra, and how Vishwas-baiter Amanullah Khan is dropped from the ministry but given the chairmanship of legislative committees. Is Kejriwal engaged in the acrobatics of keeping all the balls in the air? There is reason to believe in the conspiracy theory that the BJP might be fishing in troubled waters as it were. After the victory in the Delhi municipal elections last month, it is natural that the aggressive BJP is looking out for ways of pushing AAP to the brink. It had been trying to do that by harassing the Kejriwal government through former Lieutenant-Governor Najeeb Jung, though the present L-G Anil Baijal is lying low for the moment. It can be the case that some disgruntled elements and other opportunists in the AAP may have been offered enough incentives to rock the AAP boat. It would be naïve to blame the BJP for trying to break up the AAP. That is part of politics – cunning, intrigue, and a bit of foul play too. So, it is not surprising that Delhi BJP president Manoj Tiwari, the Bhojpuri film actor-turned-political hero, should promptly demand the resignation of Kejriwal on moral grounds after Mishra’s bribe charge. The AAP-BJP rivalry is bitter because the two are in many ways ideological twins. This is something that Delhi’s middle-class worshippers of AAP tend to forget. AAP and the BJP occupy the same political ground of lower middle class self-righteousness and nationalist piety. 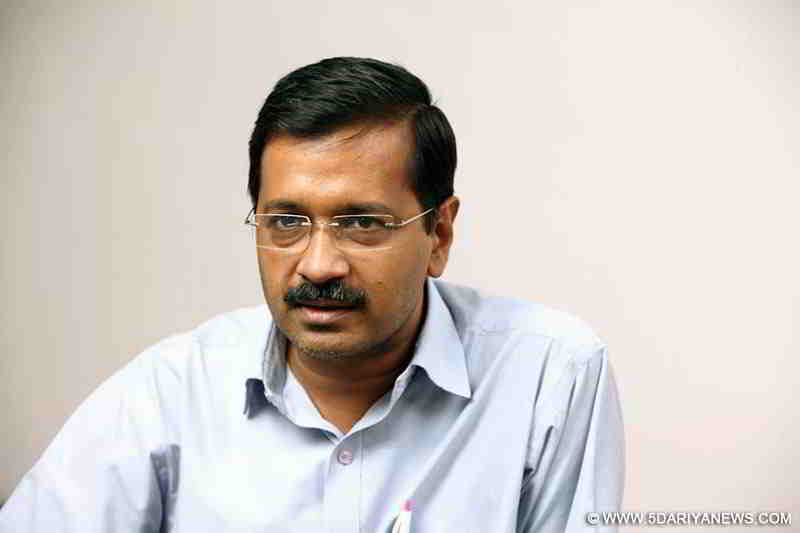 AAP’s success undermines the BJP, and it holds true conversely as well. That is why, the buzz from Punjab assembly election was that the BJP had preferred a Congress victory rather than AAP’s and that it has even facilitated Congress’ win by transferring its vote to its ostensible rival. It is reasonable to infer that apart from consolidating its Hindutva constituency of the lower middle classes through its religious and nationalist appeal, and attracting the poor through its economic populism, the BJP wants to divide the opposition, break up the other parties when those parties are facing internal dissent. The BJP has managed to weaken the Bahujan Samaj Party (BSP) by admitting some of the leaders who walked away from the party in the run-up to the Uttar Pradesh assembly elections. It is wooing members of the Biju Janata Dal (BJD) in Odisha who are not happy with Navin Patnaik lording it over the state and the party, and it is turning the heat on members of the All India Trinamool Congress (AITC), who are caught in wrongdoing. It is not then surprising that BJP is looking to take advantage of trouble inside AAP. The BJP has a special negative bonding with the AAP because both of them are strong anti-corruption proponents, and it essentially turns out to be an anti-Congress offensive. AAP subscribes to the same nationalist fervour as does the BJP. In electoral terms, the two parties appeal to the same lower middle class constituency. It is not surprising then that each wants the other out. While AAP has not done anything so far to undermine the BJP support base, BJP has been quite sore with AAP’s Delhi assembly success and it is using every dirty trick – it is more an amoral rather than immoral approach – in the book to attack AAP.